The Breakers consists of three buildings: The Hotel, The Boutique North Tower and The Paradise Tower. 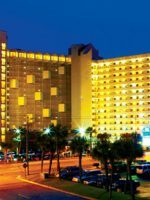 The Hotel is the original building, offering oceanfront units that range from rooms to three-room suites. 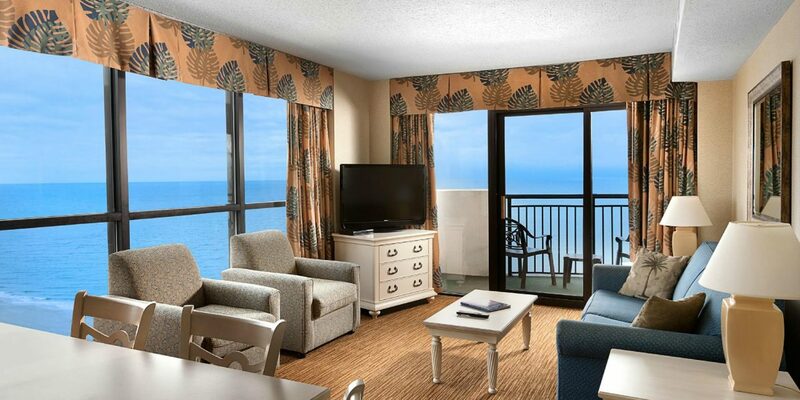 Most units face the ocean and feature kitchen, flat-screen televisions and balconies. The property is close to local shops, restaurants and live entertainment. On the grounds, there are many pools and whirlpools (both indoor and outdoor). A spacious lawn overlooks the beach. Papa’s Restaurant serves a hearty breakfast buffet or a la carte dishes for dinner. Red Parrot Cafe is open for lunch and dinner, serving American favorites, like burgers and fries. Live entertainment is provided nightly. An ice cream parlor and Starbucks are also onsite. 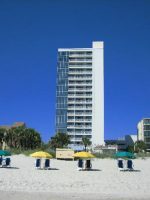 Boutique North Tower is set a few blocks further down the beach at 27th Avenue. At this property, guests stay in two- and three-room suites. The grounds showcase a large children’s pool and a whirlpool. Market Restaurant serves a daily breakfast buffet. 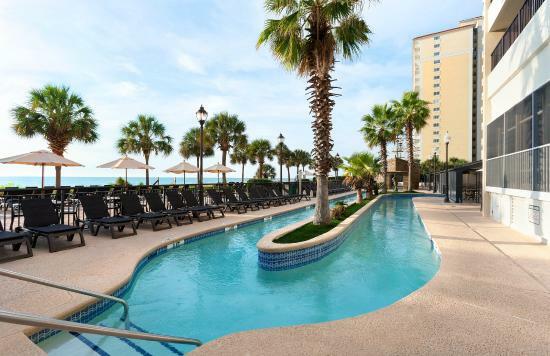 The newest of the three, Paradise Tower offers one- to three-bedroom condos with full kitchens, balconies, washer/dryer units and Jacuzzi tubs. These suites sleep up to six people. 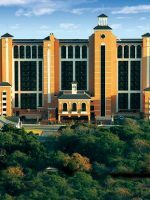 The Paradise Tower is a family favorite, as it hosts a pirate-themed waterpark with a long Lazy River and a Kid’s Activity Center. Beautiful rooms close to the board walk, lots of shops and restaurants. The ocean at our back door, the lazy river and pool were great for the kids. We loved the hot tub.Couldn't find the sauna, but saw it listed, probably wouldn't have used it anyways. We had an amazing time at Breakers Resort in Spring Break. 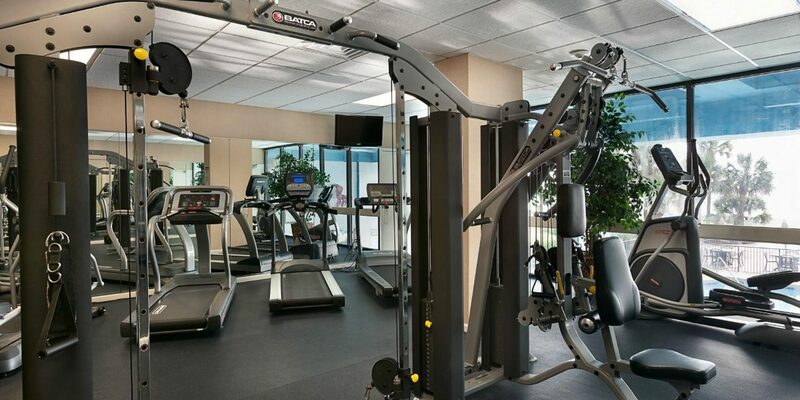 The resort is located in a great are, within walking distance to shopping and plenty of restaurants. 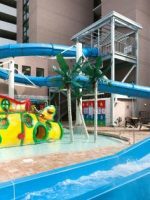 The water amenities were wonderful for our family, the kids enjoyed all the pools and water activities. The beach is beautiful as well. The resort was a bit understaffed during our stay, but no major complaints. They did not have enough staff in the Rusty Reef restaurant/bar, so the wait for food or drinks was way too long to use those services. But there was plenty of other restaurants/food places in the area to walk to for food. Or you can pack/cook your own food because we had a kitchenette in our room.